Thank you SOOOO much! I was quite frustrated at not being able to use my Spyder hardware on my new 2013 retina display MacBookPro. You saved the day. I did NOT get any error messages. The Spyder3 express software worked perfectly with my Spyder2 hardware and OS X v10.9.2. Thank you for sharing your experience. I had no trouble using Spyder3Express with my Spyder2 puck in 10.8.5. However, I have a dual monitor setup and there seems to be no easy way to calibrate the secondary monitor! 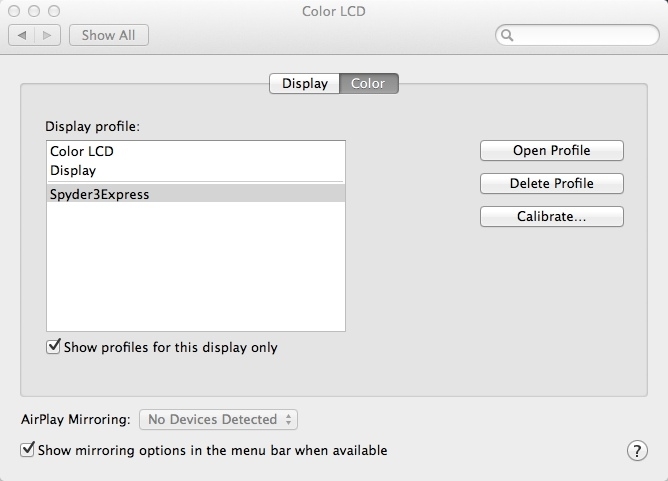 Okay, actually, you have to go to your Displays control panel, under Arrangement, and move the menubar over to the secondary display… this will force the Spyder3Express calibration software to run within the secondary display. Although, it might be time to get an updated puck that works with the far superior ColorEyes Display Pro software. Pardon me Im new to all. Is it the Spyder unit that I may need? I do sublimation printing mostly for sports apparel using Epson 9600 and Epson 9880 and sometimes to get a certain color it takes me days. I work in RGB colors. I find it very confusing that there is a working space (adobe 1998, IEC 619…,EsRGB) then when you print you can select profiles, I don’t know the difference but the names are the same. Anyway the other day no matter what I did I could not print red. Tried every combination and finally using EsRGB working space and a pink looking color I printed red? If anybody knows what I need to calibrate are what software to try it would be appreciated. 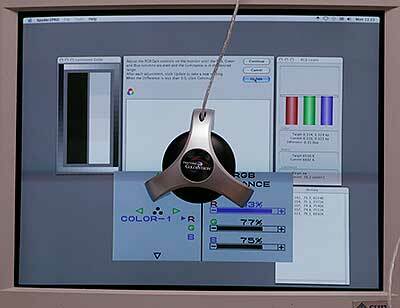 It didn’t work for me… I have a Spyder 4 and I’m trying to calibrate an iMac 24″ late 2008 with Mavericks 10.9. For sure it’s a permission issue, because I noticed that when I try to calibrate the monitor with the native Apple utility (so not via hardware with Spyder) in the final step the system requires for the user password in order to write a file in the library. 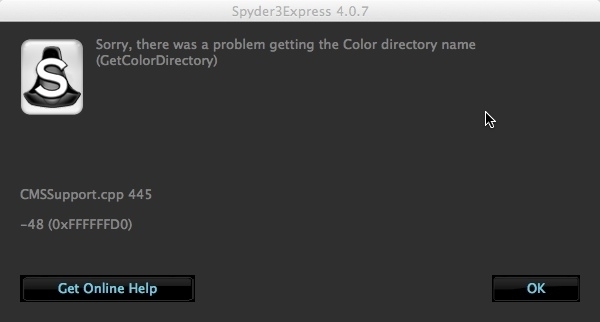 This password request doesn’t happen when I, on the final step of the Spyder calibration process, I try to save the color profile. Does anybody know how to fix this? I guess it is on the permission of the folder but I can’t figure out which command to write on the terminal. Help would be really appreciated! Thank you Eric. I have just resurrected my Spyder2! Top tip! That works. Thank you. I am having no luck whatsoever trying to get my MBP Retina 10.8.5 to recognize Spyder2 on Spyder3 software. It does have a drop-down where you can choose Spyder2, but it is not detecting anything at all (sensor not detected). I realize it’s not capable of calibrating a retina display, but I do have a CRT that I want to calibrate. Welcome any suggestions. Spyder tech support was unwilling to help. Thank you. Unfortunately, the link is no longer. Can you put the “Spyder PRO_2.3.5_Setup.exe” online?